Airborne and Impact Noise. 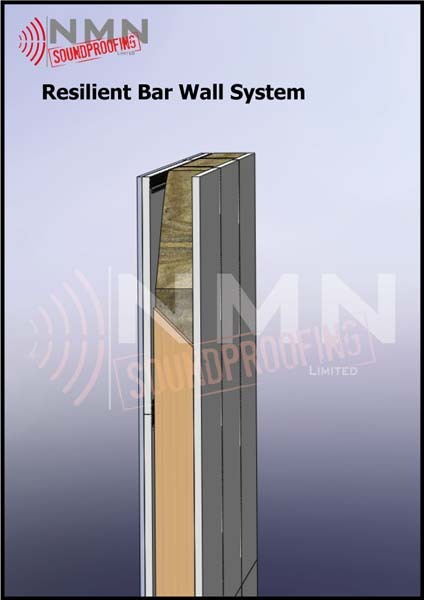 Can only be installed on a stud wall structure. The wall face will be removed to expose void between existing batons and acoustic mineral wool installed in void. Resilient bars will be installed on the batons. 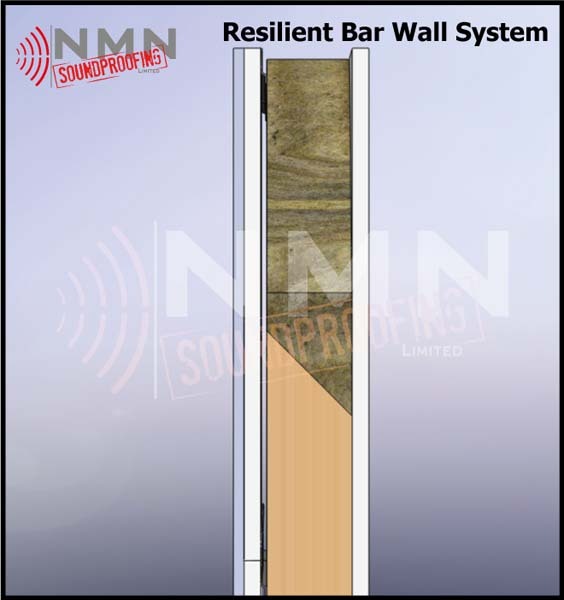 This system utilize Acoustic Mineral Wool, Resilient Bars, 19mm and 12,5mm acoustic plasterboard. The perimeter and all joints on 1st layer off board will be sealed with acoustic mastic.